Adults must provide Government issued identification with their current address when registering. Anyone age 5 or older may obtain a library card. A parent or guardian's signature is required for ages 5-17. 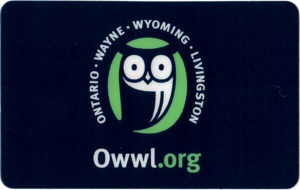 These cards are valid for use in any of the 42 OWWL libraries. For further account questions click here.